I have often heard the mantra that providing that one wears the right clothes, the weather should not matter. Those who say this either have a budget beyond mine and are supplied by NASA or they never really experience a full day of heavy rain on a bicycle. We exposed ourselves to a full seven hours of riding in increasingly heavy rain in order to reach the small town of Boom, 110 kms east of Ghent. This is river and canal riding at its best. 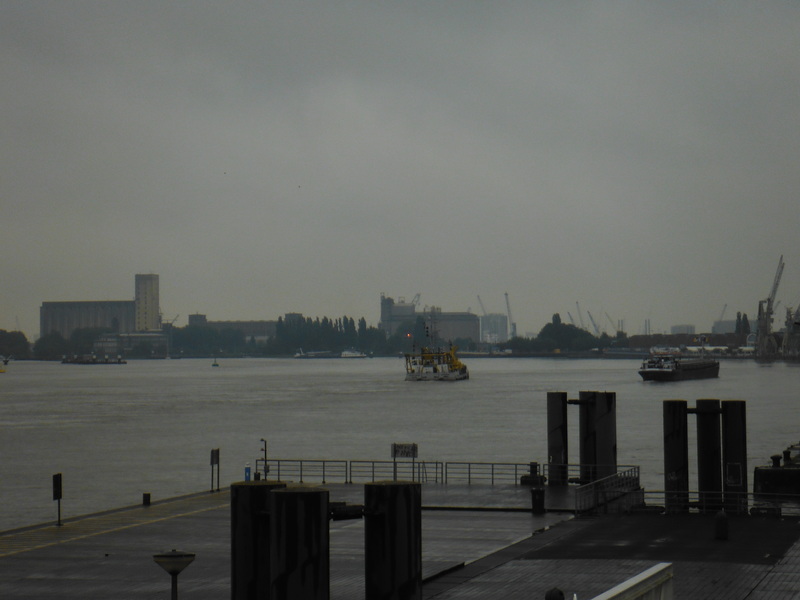 The river is the Schelde and it becomes increasingly imposing and navigable. 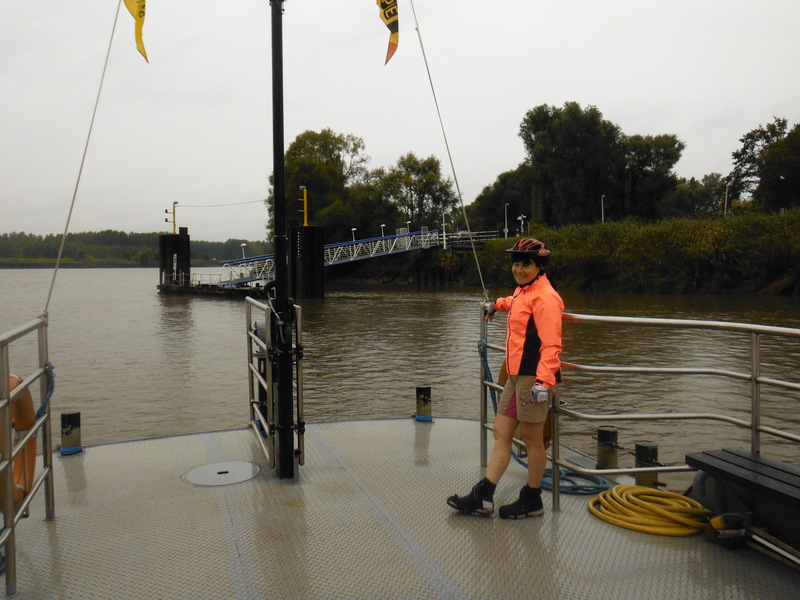 The Schelde does not actually flow through the centre of the city, but the cycle route joins it at St Amandsberg. There is a fantastic moment riding along where one has one of those, “do you see what I see?” moments (right). It is an old Sabena airliner that has come to rest in a factory yard. There are two occasions on this stretch when the path takes riders over the river by ferry. Our experience in Germany is that ferries just, as-and-when, cross the river between set hours in the day. This is not so in Belgium, at least on the Schelde. Seemingly, they run a half-hour service. But more importantly, they can be requested. On two occasions, the ferryman, saw us waving (it was raining after all) and immediately collected us. The ferries are passenger ferries only. And they seem to run between places that are not exactly centres of population. They are also free (though the ferrymen were delighted to receive a good tip). What’s more, one finds the ferries bunched in pairs – situated perhaps a couple of kilometres apart. Essentially, they are operated by one man. So we crossed the river at Mariekerke (left) having been unable to work out how to get the ferry across to nearby Sint Amands. Mariekerke is nothing more than a village, but it did have a welcome Gasthaus where we could get some hot food and warm up a shade. In fact, it was fantastic. It was a Monday afternoon and the place was hosting an afternoon lunch for a group of elder burgers. They were having a ball. And cared not a jot for us. The second crossing was a little more complicated. The Schelde is joined by the Rupel, adjacent to both is a busy canal (Zeekanal) with a series of locks. Finding a closed gate that was crossable took us a little while. And then came the ferry. We flagged it down, it came, we went across. At the other side the path to the left goes to Schelle (and Antwerp) and right to Boom. Boom was our preferred end point for the day. And we found the only hotel in town. Another full day of rain was forecast, so we decided to stay on for a second day and take the train to Antwerp. Wise, in many respects. Architecturally it is magnificent, and the magnificence starts with the railway station that is more like a church than a railway terminal (right) . There is a hierarchy of lines – the intercity trains depart from the ground level; regional trains for floor -1; and the trains to Boom from -2! Antwerp is the home town of Peter Paul Rubens, the celebrated 16 Century artist. His paintings are everywhere, not least in the churches dotted around the city. His house, where he retreated after his prolific and highly lucrative years with his bride who was considerably younger than him, can easily be found. I’m not sure why we did not visit, especially being so wet. Instead we wandered around and visited the old town and waterfront (left). It was back on the bicycle to Lommel the next day. The sun was shining and the rest day had been welcome. Bearing in mind our final destination was Aachen, the logic of going to Lommel was not strong other than it being the recommended route. The route continued with the river and canal theme (right). 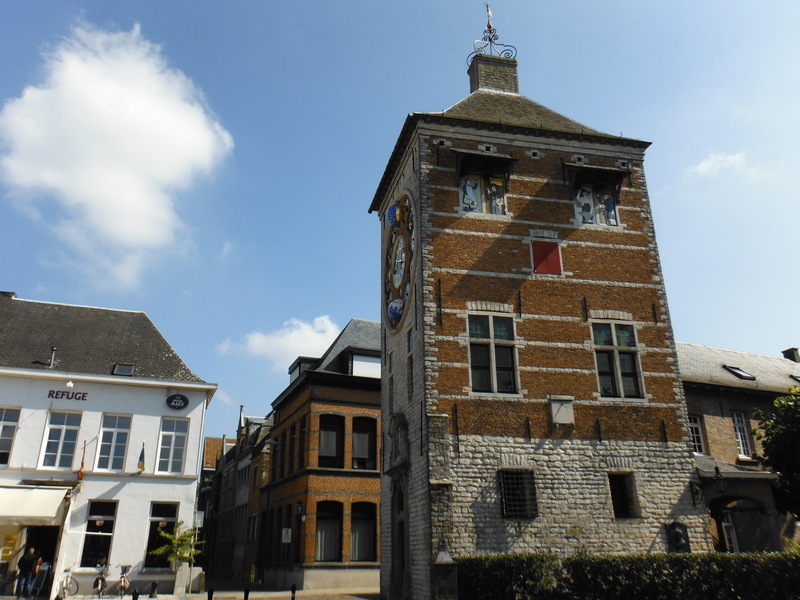 We were taken to the vibrant little town called Lier. I have never seen such a cluster of bars in such a small place before. I trust Saturday night is lively. In the sunshine of the day, however, it is relaxing and the coffee is supplied to order. The town has a few curious pieces of architecture. A very striking clock (the Zimmer Tower, left) watches out over the bars, and an enormous central square seems to be looking for an event. 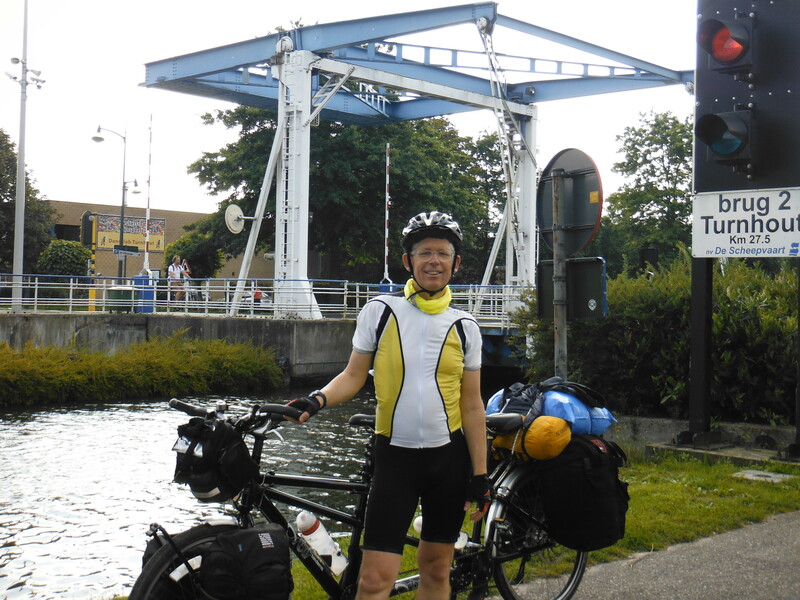 From Lier – where we arrived in late morning – it is canal towpath. Long, straight and quiet. The next port-of-call was Turnhout. The route does not actually pass through the town, but we took refuge in a popular waterside café to refresh, determined to ride late to reach Lommel. 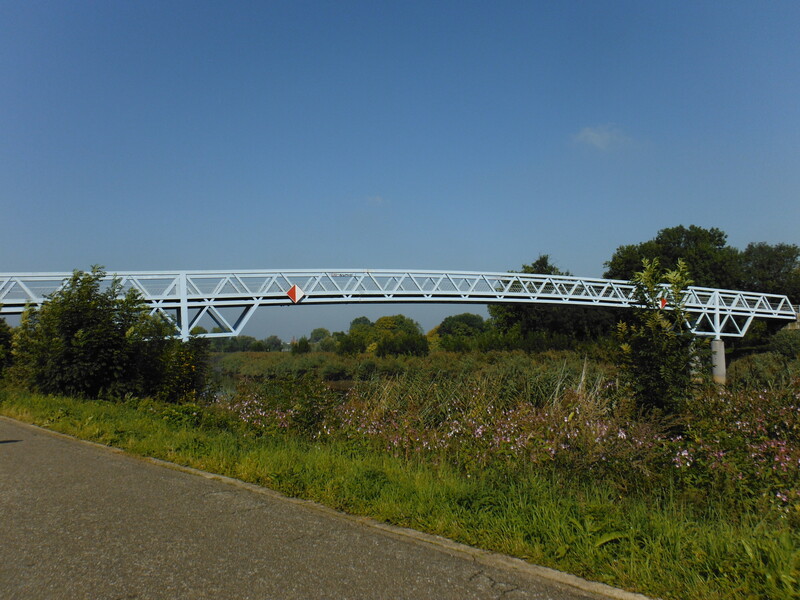 The Kanaal Dessel-Schoten heads for the NE corner of Belgium and over Lommel which hosts a Centerparc and offers two other camping options. We crossed the canal onto the N746 route hoping to find either a campsite or a modest hotel. On that route we found neither. Once into the centre it all got very confusing as the town was hosting a funfair, so it was very difficult to orientate ourselves. In the end we had to ask and got directed to a hotel heading out west. Details can be found here. Refreshed after a shower, we opted for a close-by restaurant. A Tapas. And what a Tapas it was. The menu seemed expensive, but the system goes like this. One chooses a main course and the restaurant supplies a series of tapas that complement the main course. It was magnificent. A father and son operation with authenticity (father is Spannish). The chef brought one of the courses to us. 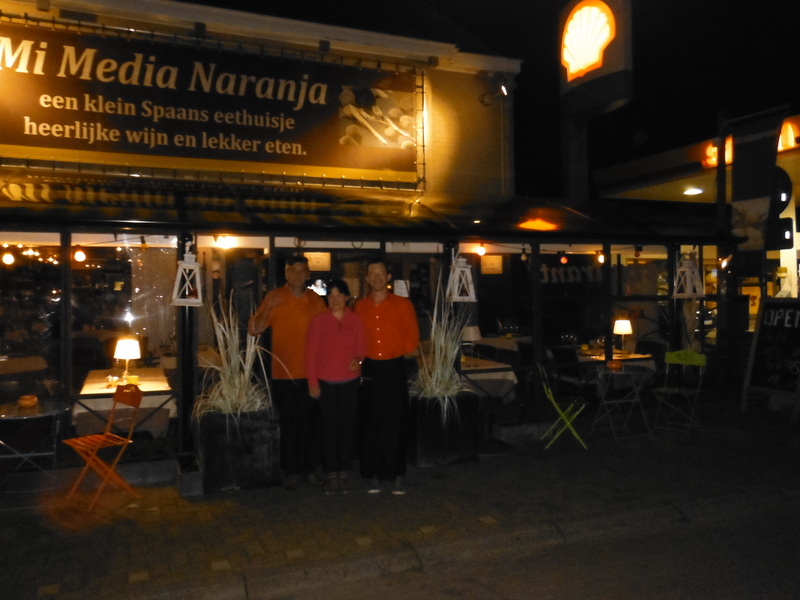 We finally had a picture outside the restaurant as we left. Well recommended. The August summer of 2014 was, to say the least, wet. It was also cold. I have to admit that these factors made us think carefully about camping. So, here, chronologically, is where we stayed: (I’m constructing this as I publish the pages describing the tour more generally). 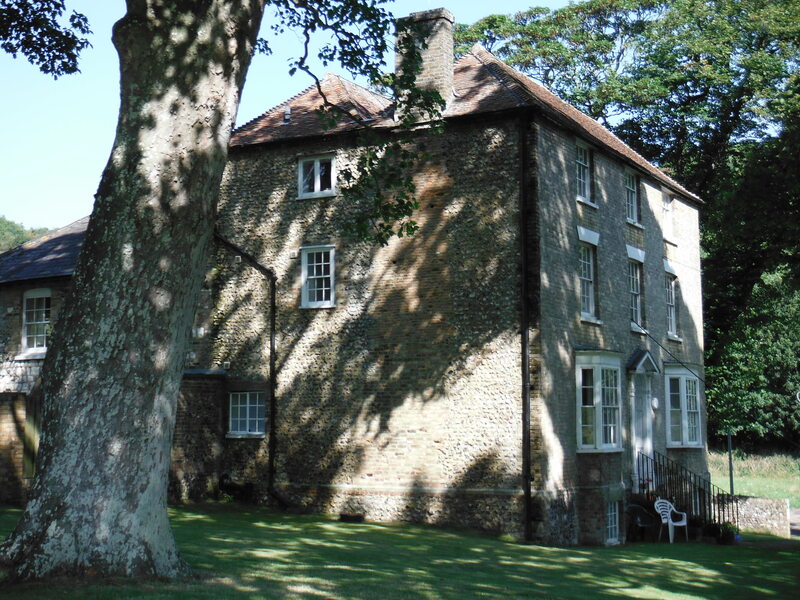 Farthingloe B&B. Inexpensive. Run by a couple who are friendly and very accommodating. Some of the rooms have shared bathrooms. Former base for Channel Tunnel engineers. Bed very comfortable. Free Wifi. Breakfast is ideal for cyclists – they aim to provide as much fuel as is needed, even for vegetarians. The Guest House is at worst 30 minutes away from the ferry terminal. No dedicated cycle parking. 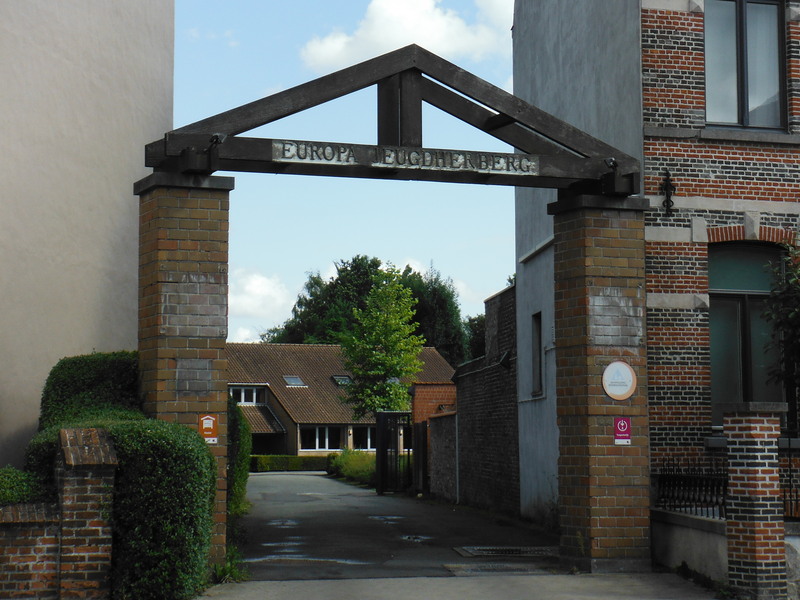 Espace Loisirs is a chain of campsites. 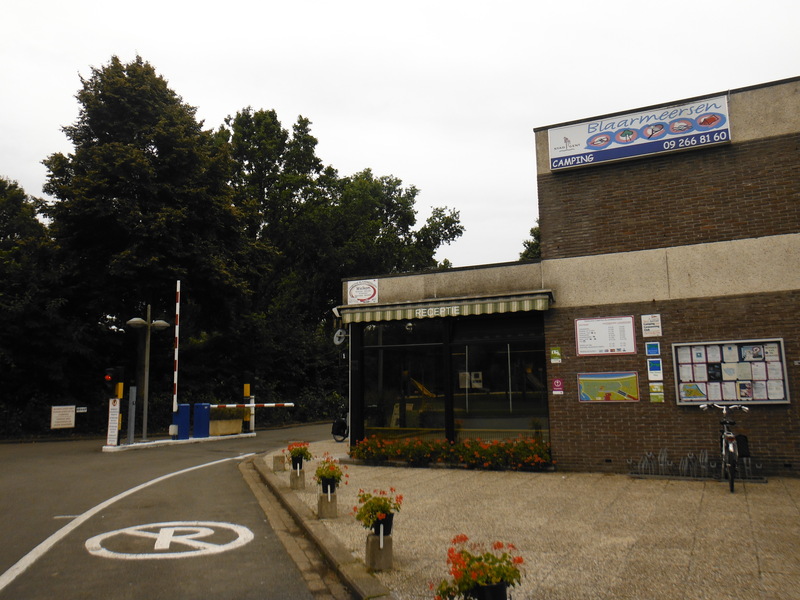 This one is located in Zuydcoote close to the Belgian border. It is on the upper-end of camping charges for cyclists, in this case, 24 Euros. 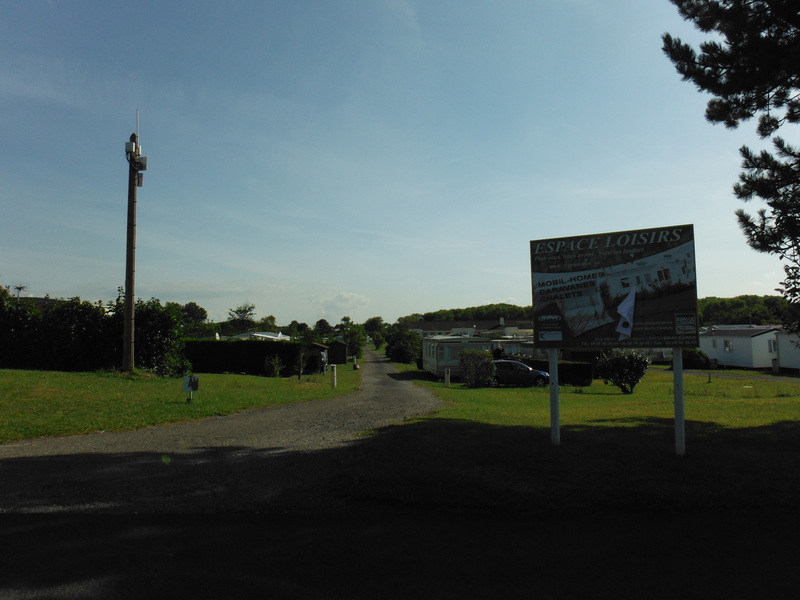 The camping area is small relative to the mobile homes and situated well back from the entrance. It has a washing machine and dryer (uses tokens available from reception). It has a bar (where you might find the receptionist if arriving after 1900). The showers are mixed and cost extra. There are no toilet seats. 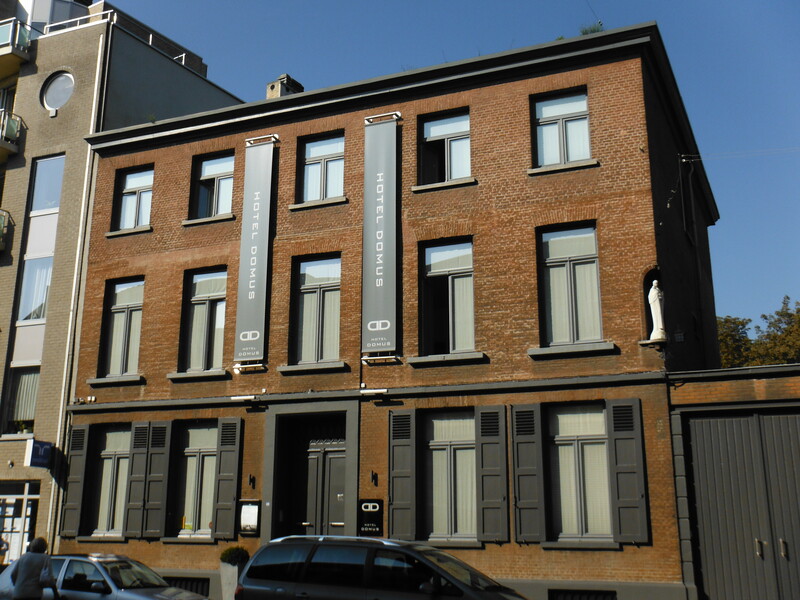 Youth Hostel, Brugges (Baron Razzetelaan, southern approach to the city). Private rooms or dorms. Breakfast included. Approximately 25 Euros per person for a room. Wifi in common room. Camping Blaarmeersen, Ghent. Very big site. Reception open until 2100. Possible to hire a wooden hut. Space for tents generous. Does not drain very well in very wet weather. Washing machine, dryer and spinner. Bar/restaurant. Does not serve breakfast until 1000. Closes at 2200. Close to a motorway, so a little noisy. Easy access to the City on half-hourly bus. Around 25 Euros per night for cycles. Showers included in the price. Hotel Domus, Boom. It is the only hotel in town. Former nunnery. It is fantastic, but not cheap. Big room. Bath, shower, washbasin, toilet. Breakfast included in atmospheric breakfast room at the rear. Free Wifi. Secure cycle parking. 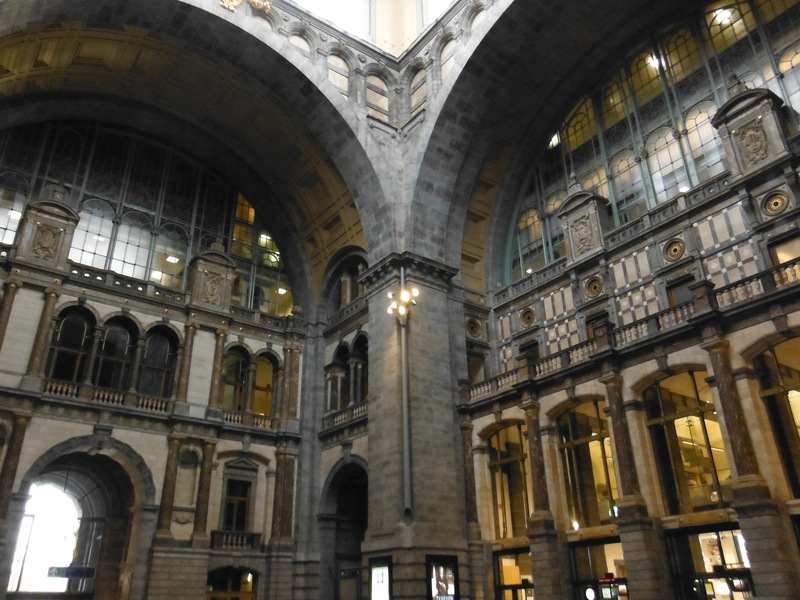 Easy access to Antwerp using train. 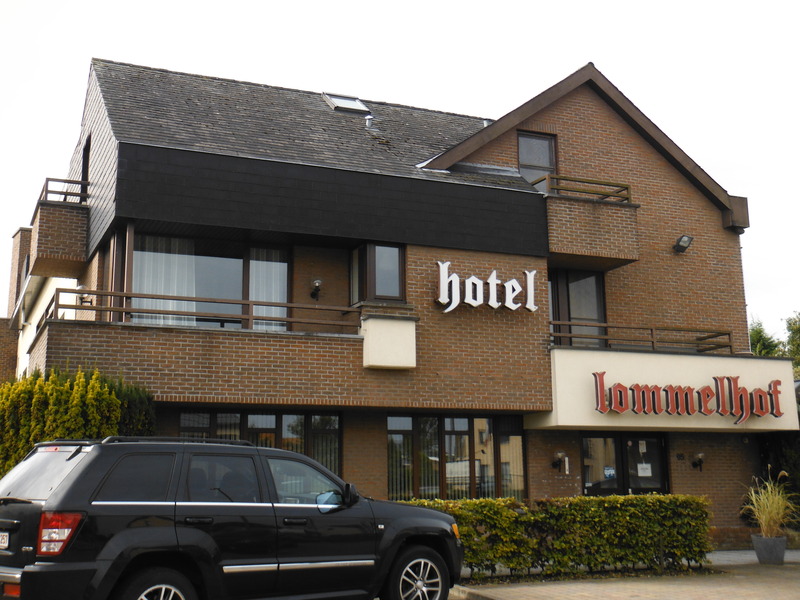 Hotel Lommelhof is a delightfully unmodernised 70s hotel. 90 Euros gets a double room and breakfast. The reception closes at 2000; but there is a key drop facility for late arrivals. So, phone ahead if you want to stay here and will arrive late.There is secure parking for bicycles. Free wifi. 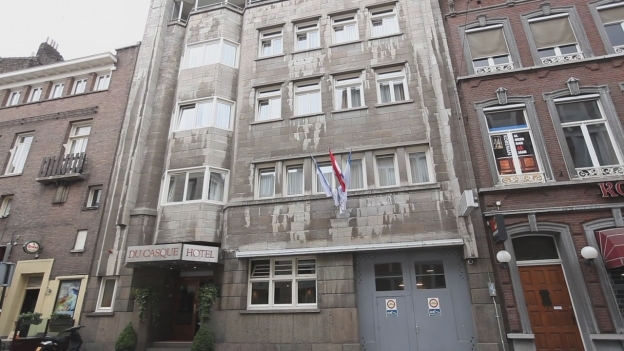 Amrâth Hotel Du Casque, Maastricht. We kept the price down by not taking breakfast. Room right at the top had a fantastic view over Vrijhof Square. And despite the food festival, soundproofing kept it quiet. Really nice art decor hotel.Small garage (see picture, grey door on right) where it is possible to store bicycles reasonably securely. Which? – the UK consumer watchdog – recently published its findings from research into the best and worst hotels in the UK. To view the whole report, one has to be a subscriber to Which?, but the newspapers happily reported the findings. So, the best are: Q hotels 78%; Radisson Blu Edwardian 77%; Premier Inn 76%; Sofitel 74%; DoubleTree by Hilton 71%; Park Plaza 71%. Two chains that I use the most are last and next-to-last consecutively. Let me have a go at defence. First, Britannia. I’ve stayed in two, one in Manchester and one in Canary Wharf in London. Both have been on a weekend deal and hence cheap relative to their grading and location. I would recommend both. They were clean, well equipped and quirky (a bit illogical and frayed around the edges). Corporate, but not so. My experience of Travelodge is broader. I’ve stayed in more Travelodge hotels than I can count. I’ve had mixed experiences, too. One evening there was a ram-raid on a nearby cash machine. We all cowered behind the safety of the Travelodge door. On another, a drugs raid. On one occasion there has been some residual hair in the bath. I’ve been moved at short notice from one hotel to another. And to query the enforced transfer, one has to call a premium telephone number! But equally I have had some of the happiest times with my partner in Travelodge hotel rooms after being reunited in nearby airport arrival halls. Here are some reasons why I persist with Travelodge. They are consistently inexpensive. They are the cost leaders in the hotel world. They have only just – reluctantly – provided soap in rooms. And not very good soap at that. But if what you want is a bed – a good one in fact – a shower that invariably works in a fashion, then it is extraordinary value for money. They are ubiquitous. I prefer the roadside hotels to the city ones, but I’ve stayed in both. Airports are also Travelodge natural habitat. The staff are invariably friendly, if not particularly competent. I’ve had some rewarding conversations with Travelodge staff over the years. They have 24 hour reception. I usually come very late, but I am reassured that I can get into the hotel and to my room. And on the few occasions when there is no room – double-booked, water leak, police raid, or whatever – they will get you in somewhere else. That may be a 5-Star hotel down the road. One can use the room as a comfortable campsite, which we recently did in Ipswich instead of pitching a tent at the Latitude music festival. We even moved in some of our own furniture to compensate for the annoying policy of one chair per double room. But that is cost-leadership for you. And yes, where breakfast is provided, it is awful. So do as we do, bring your own. At the other end of the scale is Premier Inn, another budget chain. The debates I have seen engage in facile comparison. If Premier Inn can do it, then so should Travelodge. Actually, Premier Inn is one of my least favourite hotel chains. And why? I’ve thought about this. Actually, notwithstanding that Premier Inn is not as cheap as Travelodge, it markets itself as a budget hotel trying not to one. I find it disingenuous. Equally, I do not think that Britannia Hotels try to be luxury. Travelodge is an easy target. Travelodge has done for the hotel business what the low-cost airlines did for travel at 11,000 metres. Travelodge has democratised domestic hotel use. Most people can afford to stay. And as long as one does not expect more than is offered, the experience will not be a let down. 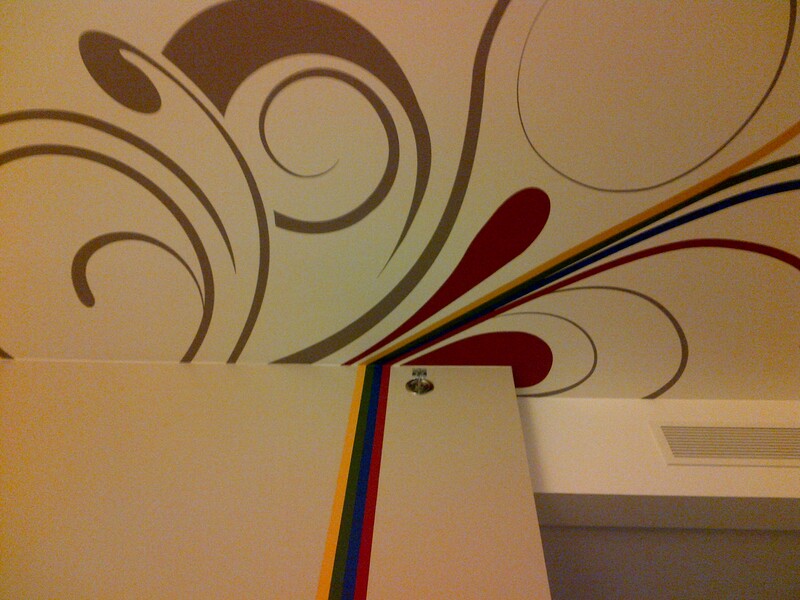 All hotels have their peculiarities. the Concorde Hotel in Montparnasse, Paris, particularly so. 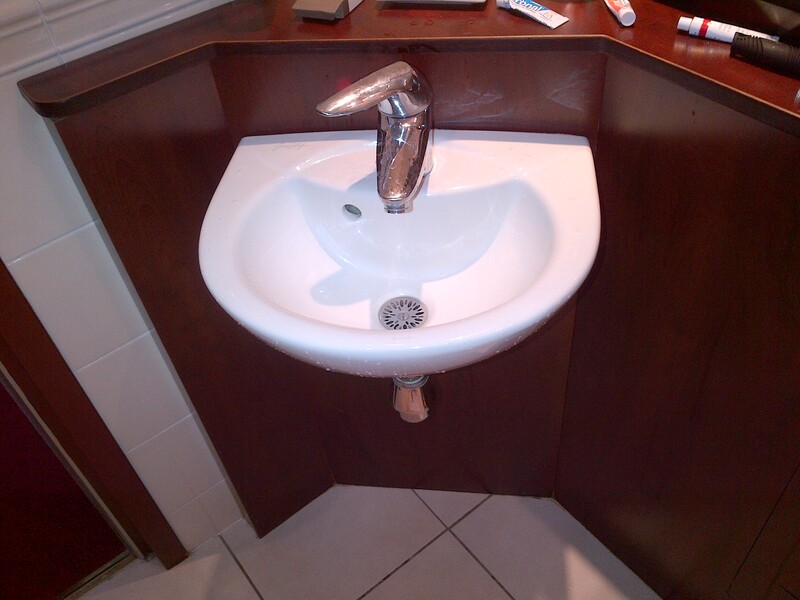 I have no overall complaints, but the bathroom washbasin was unnecessarily unfit for purpose. First of all it was small even though the bathroom itself was large (so, no need to make it small). The smallness was made all the worse by the mixer tap that hung over it denying access to the water to only the smallest of receptacles. Moreover, there was no plug. This made shaving difficult necessitating an excessive use of water. My question is simple. What informed the design of this most basic of bathroom features? Why is it so wrong?